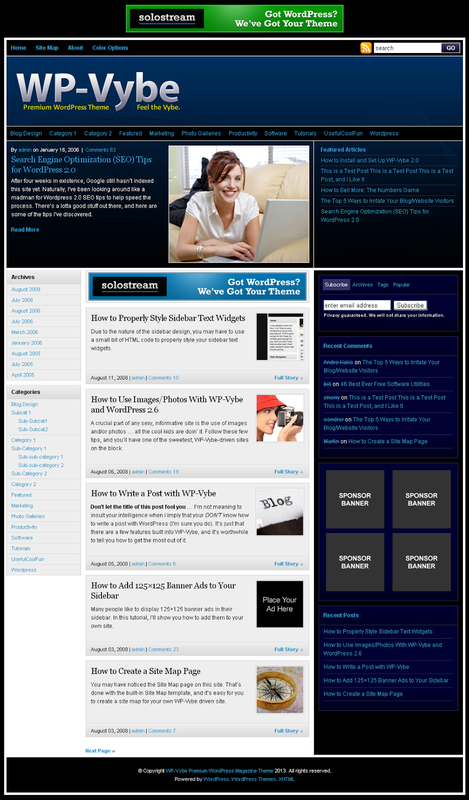 Solostream have been known for their great themes for WordPress websites. This fame was not created within one day NO! It took them time to do so. Therefore, for them to reach where they are, they had to introduce their products into the market. WP-Vybe was one of their first creations. This theme is a colorful WordPress theme that has multiple color option and multiple page layouts. Even though this premium WordPress theme is one of their first creations, it is pretty one of the best themes to use on a website or blog. The theme has a built-on control panel that makes it flexible and easy to use. This theme can be used on many different website themes.